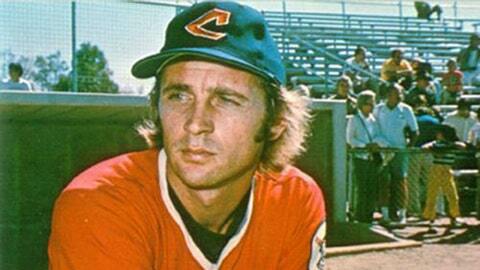 Kuiper hit the only home run of his 12-year career as a member of the Cleveland Indians in 1977. Friday was Duane Kuiper bobblehead night at AT&T Park in San Francisco. The Giants’ broadcaster spent 12 years in the majors and is probably best remembered for the fact he hit exactly one home run. Kuip hit the lone homer off of Chicago White Sox right-hander Steve Stone on Aug. 29, 1977 as a member of the Cleveland Indians. When San Francisco decided to honor the longtime Giants broadcaster with his own bobblehead, they had some fun with it. It was passed out to the first 40,000 fans at AT&T Park for the series opener with the Indians. To make things even better, the Giants put together a hilarious mockumentary that was played on the scoreboard before the game. Remembering Duane Kiper’s Lone Home Run featured cameos from Kuip’s children and former teammates, including former Indians teammate Ray Fosse, who joked that "Kuip owned Steve Stone." "The thing I always ask myself, and I’ll ask it about this function: If I would have hit two, would there be a bobblehead?" Kuiper said. "No? Well, then this is fantastic!"